Stop running around and start running your business. 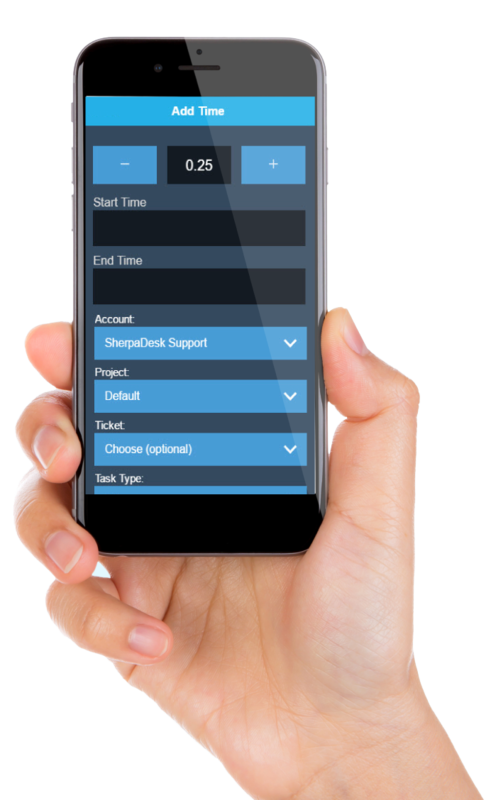 SherpaDesk is the simple all in one solution for professional services who need help in managing their customers and tracking billable time. Sync your customer details, technician time, expenses, travel, invoices and staff payments between your help desk and Xero Online. The common issue with billing for your time and expenses on your customer contracts is the delays or lack of communication between your support system and your accounting solution. 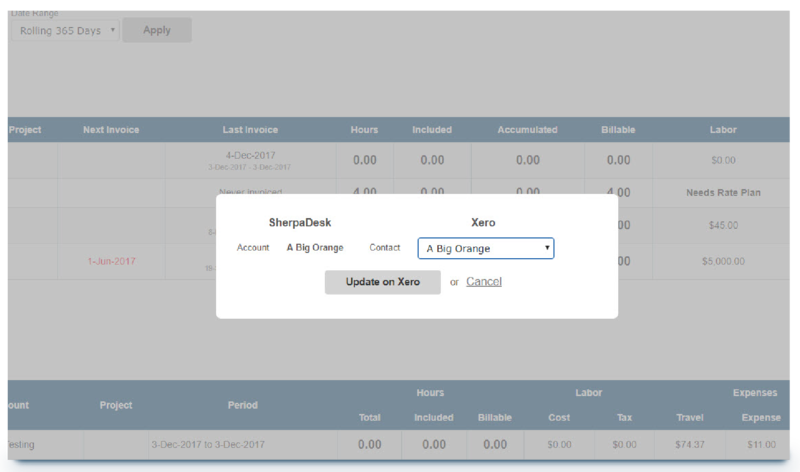 SherpaDesk allows you to capture all of your customer’s billable information and easily push this data over to Xero Accounting. SherpaDesk makes it easy to sync time, staff payments and invoices into your Xero Accounting solution by allowing you to map data on the fly. 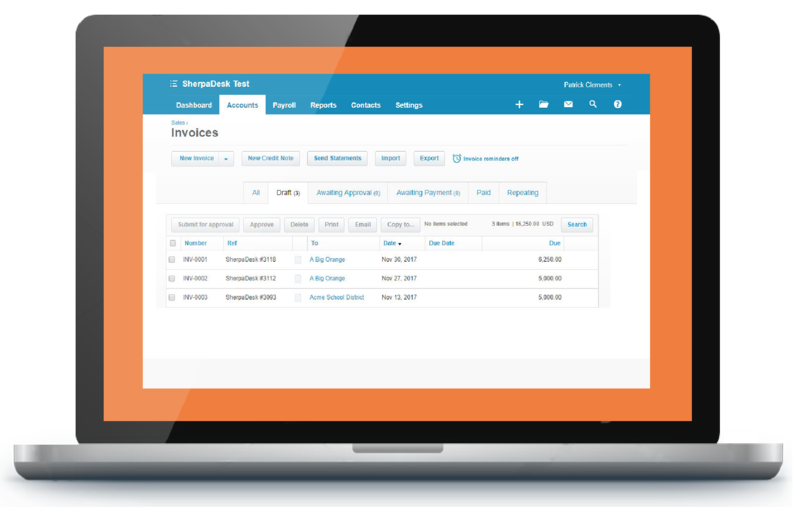 SherpaDesk also allows you to sync and send entire invoices. It’s as easy as clicking on the icon and waiting for it to turn green! SherpaDesk allows you to map your customer data on the fly. When pushing time over to Xero you are able to either map or build your customers and task type. 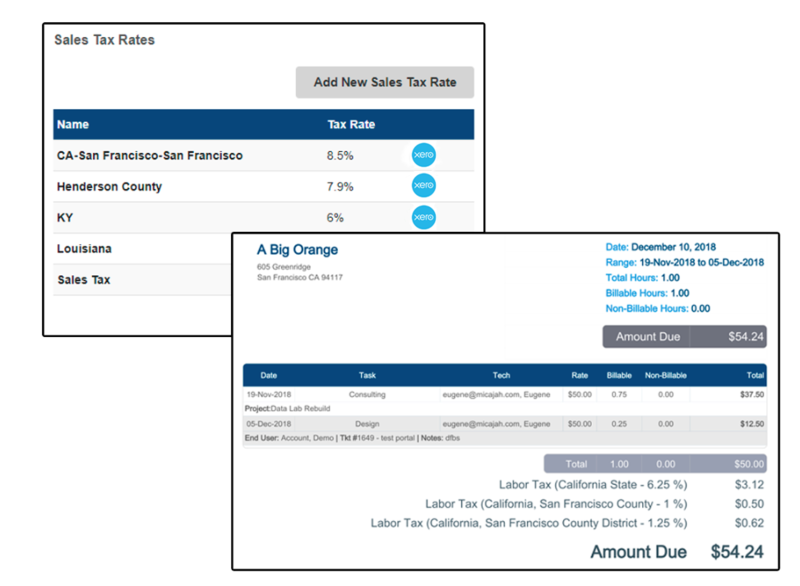 SherpaDesk enables you to have your Xero tax rates automatically injected into SherpaDesk and added to invoices. You can also create invoices in SherpaDesk and have the correct tax rates applied after syncing with Xero. 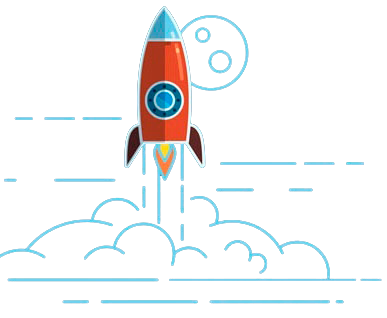 SherpaDesk’s pricing is not hidden and we don’t require you to talk to a salesperson for a demo first before you get a quote. The first tech license is always free and then for each additional agent it’s $39/month. This includes remote management, mobile device access, Xero integration and no initiation fees or annual commitment. Get a real-time view of your cash flow. 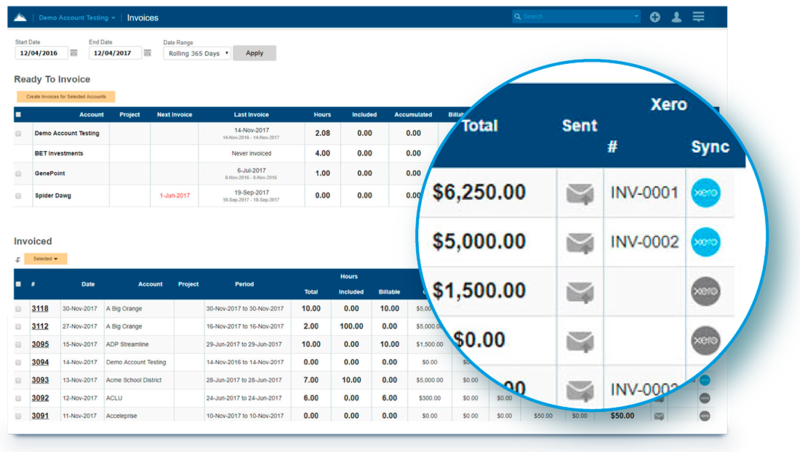 Log in anytime, anywhere on your Mac, PC, tablet or phone to get a real-time view of your cash flow. It’s a small business accounting software that’s simple, smart and occassionally magical. Run your business on the go. Use our mobile app to reconcile, send invoices or create expense claims, from anywhere. Get paid faster with online invoicing. Send online invoices to your customers and get updated when they are opened.